"My hair is wild and free, but I've always been told that [straight hair] is more polished, and a more polished version of yourself is a better version of yourself. That it's more professional." Thanks to Beauty Route, I was able to try their amazing Verdict heated paddle brush! I wanted to test it out a few times before I got in a good review! 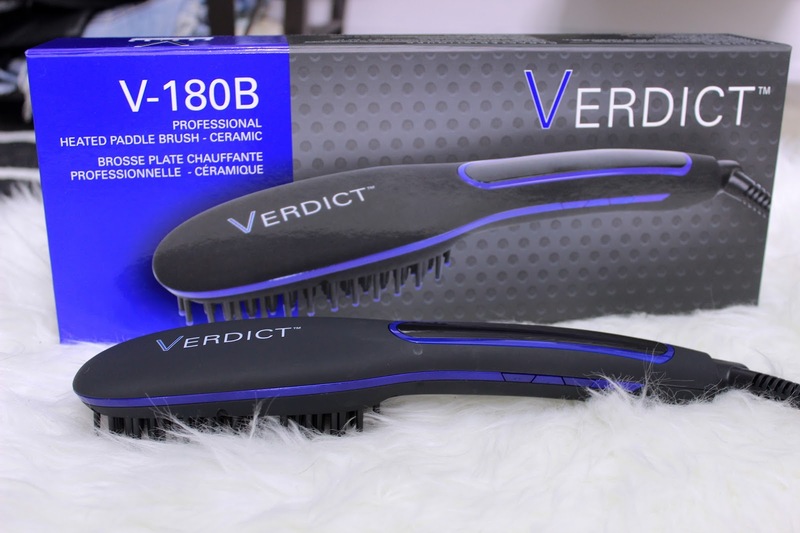 I've never really thought of using a paddle brush but when I was asked to test this I was more than happy (because I usually never brush my hair and this would give me the opportunity to start brushing my hair!). When I first opened the box, I was amazed at how amazing the quality was of the brush and how comfortable and light the product was. The brush has a LED screen and a goes up to a temperature of 450°F. My favorite feature of the product is that it has an automatic cutoff time, so if the straightener is left on for an hour it will turn off. I won't lie, this won't replace my straightener if I looking to have super sleek hair, but I will use it over my straightener for a more casual look. It won't replace an actual brush either, I found that I had to brush my hair out a bit longer to remove tangles (but that's what I get for not EVER brushing my hair out). I do feel like it gave me a shiny and healthier feel to my hair and it's great for everyday uses when you're not looking for the sleek, straight hair! Head over to Beauty Route today and you get get your Verdict heated paddle brush for 20% off using coupon code CASSIE20 ! Disclosure: I was sent a Verdict Heated Brush from Beauty Route for review, but all opinions are my own.